The ICFAI University is situated at Dehradun Uttarakhand. The University was started in 2003 beneath the ICFAI University act no. 16 of 2003 approved by Uttaranchal Legislative assembly and passed by Uttarakhand Governor on July 8, 2003. The University is spread over 25 acres of urban green area located at Central Hope town, Selaqui in the city of Dehradun which gives the appropriate environment for education.The ICFAI University, Dehradun, Uttarakhand is supported by the ICFAI i.e. Institute of Charted Financial analysis of India, a non-profitable education society that was founded in 1984 below Registration Act, 1350 F (Act No.1 of 1350F), of Andhra Pradesh (Telangana Area) Public Societies with the motive of transforming training in economics and management to students, working directors and professionals across India. The University is also named as IU Dehradun. The ICFAI University has a wide range of general and professional course studies under its authority. Institute of Chartered Financial Analysis, Dehradun has supported center in the state of Uttarakhand that has extended the opportunity of higher studies. The university has more than 168 centers at various places of the country and each and every section of the University has legal identity. The University follows semester basis examination system. The ICFAI trusts in making and spreading information and expertise in core and cutting edge areas via innovative educational courses, publishing & consulting, research, and creating a new team of professionals with high level capability and deep knowledge of ethics and pledge to code of experts conduct. 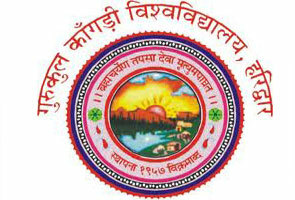 The university is involved in the list of universities kept by the UGC i.e. 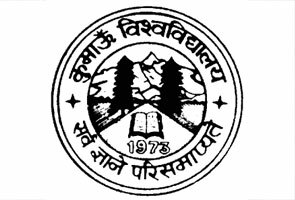 University Grants Commission below section 2(f) of the UGC act, 1956, with their letter number F.9-26/2003 (CPP-I) dated July 22, 2005 and got affiliation for its educational delivery and industry institute interface. The ICFAI has achieved approval of NCTE to provide bachelors courses in education by the faculty of education. The University involved the list of authorized institutes maintained by NCTE. ICFAI has also received the approval from DEC i.e. distance education council for their study programs. The motive of ICFAI is to build quality people for the developing market of India. The university dreams to be number one institute of choice for students, corporates and staffs, renowned for expertize in higher education and research specialty appropriate to social needs. Their main mission is to provide top class, innovative and carrier oriented educational posts undergraduate and graduate programs through innovative technology that helped tutoring to train the students with essential professional and ethic skills as well as social sensitivity and deep sense of life skills. They are very dedicated to make man power who will grasp the responsibilities of country’s financial growth in future. The university offers wide range of study programs in management, banking, finance, accounting, insurance, law, arts, information technology, education, commerce, science and technology at master’s and bachelor’s level on regular campus and distance learning basis. The university also let the candidate to join different programs if the fulfill the eligibility criteria. The ICFAI University neither provides any courseware, nor conducts any other contact classes and not provides support services to private students. For such cases the private students need to prepare for the programs on their self as per the syllabus required to attend the examinations under the rules and regulations of the University. 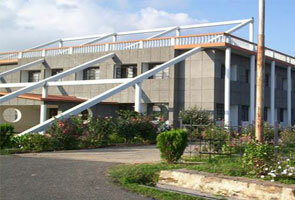 The ICFAI University does not have study centers or institute outside the state of Uttarakhand. The university has achieved the approval from DEC for various ICFAI educational courses for a time period of Three Academic years with effect from 2011-12 under Vide letter No .DEC/ICFAI-DDN/UT/2011/6774. The Master of Business Administration-(MBA) program is designed to offer both a portfolio of strong functional skills and the capability to implement, get used to and integrate those skills in various management settings. Graduate from any discipline with at least 45% and above combined marks. the students will be rewarded as the master of business administration on the successful completion of all segments.